Everyone has a different preference as to when Kimchi(김치) tastes the best – some love eating freshly made, raw kimchi (kind of tastes like a salad); some love eating it when it is just perfectly ripe and then there are those who love sour kimchi (신김치 shin kimchi) which has basically over fermented and obviously tastes quite sour. But one thing is for sure – no one likes the stage when it is in the in-between stages of being raw and ripe. Kimchi really does not taste good at all when it is in the process of getting ripe – I had an aunt who used to call this the time when kimchi has gone CRAZY! And you certainly don’t want to eat the kimchi when it’s crazy! 🙂 So here’s how to ripen Kimchi and avoid CRAZY kimchi. Since most of us now buy kimchi from the store, let me first write about the best way to eat a store bought kimchi. Too often, I hear people say that the kimchi served at our house tastes great, but when they try the same brand themselves, they think it doesn’t taste nearly as good. I realized it was because they don’t take the time to ripen it properly and then also forget to serve it cold (right out of the fridge). I found that most kimchi (even the poorly made ones) will taste quite palatable when they have had time to ripen properly. Now, the hard part about buying kimchi from a store is that it is hard to tell at what stage of the fermentation process they are in. One clue is the appearance of the vegetables. They will look more shriveled up if they are further along in the fermentation process. And the chances are that it will also have lost a bit of the juice because the content will start to bubble and balloon up when it ferments which ends up usually overflowing out of the jar. This is actually too bad because kimchi should always be immersed in its own juices for it to taste the best. The best way is to buy the freshest kimchi possible and bring it home and ripen it from the beginning. But this is usually not possible…So far, I have found the best tasting kimchi that you can buy are actually the ones that are directly imported from Korea (종가집Jongajip is my favorite). It is expensive but worth it in my opinion as long as it hasn’t traveled too far or stayed on the shelf too long at your store. Other than that, the next best thing is to try to buy kimchi that is made locally if it’s available (less chance of it over ripening) and when you bring it home, open it, smell it or better yet, taste it. If your store has a fast turnaround, it is probably in the “crazy” stage. If it’s already fully ripe, put it in the fridge in the coldest possible setting. If it’s not yet fully ripened and you can wait, let it ripen in your fridge. This will take about 2 weeks in your fridge. Also note that the juice may overflow so either move the kimchi into a bigger container or take some out (1/5th) and leave some room for the kimchi to expand. If your kimchi is still very fresh, not at all ripe and you need to eat it quickly, you can ferment it at room temperature. In the summer, Kimchi will ripen in 12 ~ 18 hrs and in cooler weather it can take about 24 – 48 hrs. Just check every 4-6 hrs. 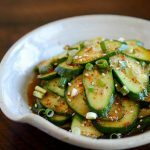 What is the ultimate best way to ripen or ferment kimchi? The most delicious and fantastic kimchi is made when it is fermented the old fashioned way…In a traditional Korean clay jar, buried in the ground in winter time. Even though the ground freezes in the winter, the jar and the saltiness of the kimchi keep it from freezing completely. This is called 김장김치 (kimjang kimchi). Kimjang kimchi is usually made around the ‘start of winter’ (입동 ipdong) in the lunar calendar which is just about now (Nov 7-8th in Gregorian calendar). I remember when I was a kid, we spent days preparing and making kimjang kimchi so that it could last us through the winter and into spring. We first dug big holes in the ground big enough to hold our huge clay jars (so big that a child can fall in). In the meantime, we spent the day washing and brining 100+ napa cabbages and also preparing the ingredients for the stuffing. The next day we took these salted napa cabbages and inserted the stuffing in between each cabbage leaf. It was an enormous amount of work but boy…was it worth it. All winter long, we got to eat these amazingly crunchy and zingy and sometimes even ever so slightly frozen kimchi that came out of these jars in the ground. So why was it so tasty? According to research, when it is buried in the ground, the temperature remains quite constant – at 32 – 35 F all winter long. At this temperature it takes about 20 days for the kimchi to fully ripen but it is definitely worth the wait. The clay jars are glazed to hold the moisture in but it can still breathe which allows just the right amount of air circulation to take away any heat produced from the fermentation (keeping the temperature stable). It also keeps the air tight enough for the bacteria to not grow too fast which helps the kimchi maintain its peak flavor for a longer period. The history of kimchi can be dated back almost 2000 years to the Goguryo Dynasty according to some historians, so you can see how long Koreans had time to refine the technique of kimchi making. Since most Koreans now live in apartments and have no backyards to bury the jars, they have invented what is called a kimchi refrigerator. This fridge is different from the conventional refrigerator because the interior walls of the fridge are cooled instead of the air which helps to keep the interior at a more constant temperature. I own one and I have to say it is the next best thing to having your own kimchi jar in the ground. It even has temperature options for fermenting and then just storing it to prolong its freshness. How to tell if Kimchi is ripe and ready to eat? How To Ripen Kimchi – follow this chart for perfect Kimchi every time! So how long can I store Kimchi in the fridge? When stored at the ideal temperature that’s close to the freezing point of 32 F (-1 to 0℃), kimchi will keep for 3 months or more. If the temperature of your fridge is higher (which is normally the case), it will probably keep for at least a month or more. Kimchi will start to taste just too sour when it starts to go bad – at which point, the best way to eat them is by cooking them by making Kimchi Jjigae, Budae Jjigae, Kimchi soft tofu stew, Kimchi fried rice and of course Kimchi Mari! Kimchi will sometimes go bad – it will have this whitish kind of film when it has been really too long and will also smell very pungently sour. You don’t want to eat it at this stage. Well, I hope this was helpful. Please share this info so that more people can learn how to ripen Kimchi properly and enjoy it at its best! 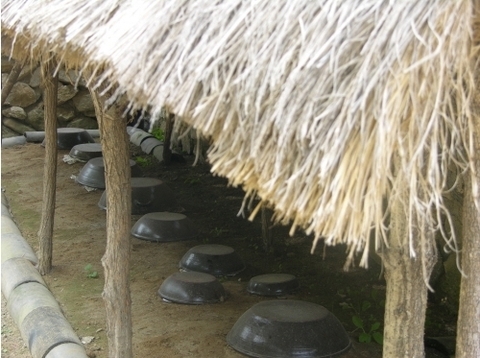 PS – if you want to learn more about Kimjang, here are two posts that teach you all about it! 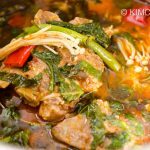 Kimjang Day: Part 1- How it’s done – I share my experiences and tips learned while doing Kimjang with my mother-in-law. Hi, lots of interesting information about kimchi, I always try to get my kimchi sour but it never happens, I really like the sour taste but didn’t know till now that it should not be that way! But this time when I tasted it after 2 days it taste somehow sweet😐 i did not add too much sugar or any sweet fruits. Hi Sabba, different people like different tastes of Kimchi. Some love sour kimchi and that’s totally good! It’s just that once it starts to become sour then there’s limited time window where it will still taste good. Pretty soon, it will be too sour and not tasty. Tasting sweet is not bad, it you leave it out longer, it will eventually taste sour. I’m not sure what you want exactly? If you think it’s too sweet, next time just add a litte more salt? Thank you so much for fast reply. Well, what I want and prefer is more of a sour taste, I will try to add more salt as you said. Sabba, you may have misread: if TOO sour, it’s past its prime.Mildly to moderately sour is where you want to be depending on your preference. If you left it out 8-12 hrs and back in the fridge at 32 F, it won’t sour in 2 days. If you left it out at room temperature, the speed of fermentation depends on actual temperatures (faster at 80 vs 60 degrees). If it doesn’t sour >3 days at room temp or in 2-3 wks at 32 F, did you wear gloves while making the kimchi? The bacteria that ferments kimchi is Propionibacterium, a skin bacteria; I suggest not wearing gloves while making kimchi to properly seed the kimchi with Propionibacterium. 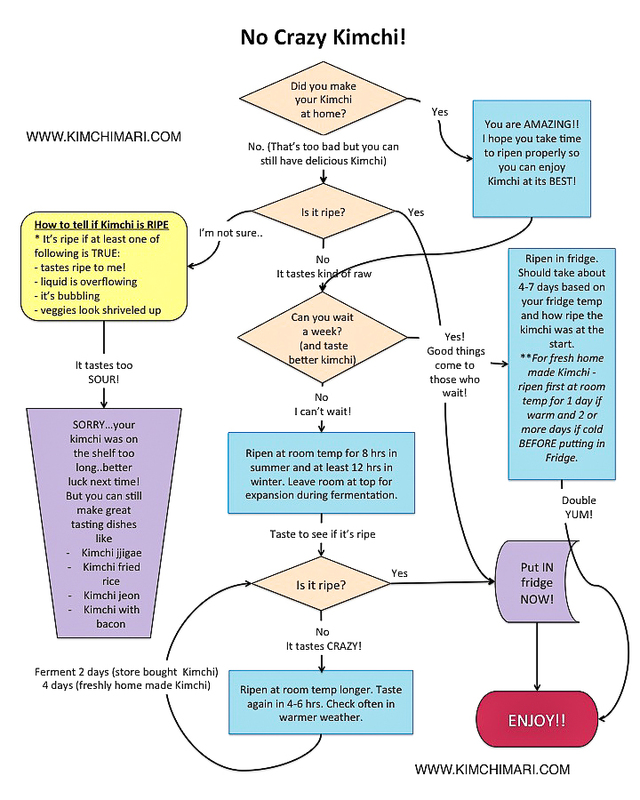 I love the kimchi flowchart and it was very helpful. I recently started eating kimchi and enjoy it very much. I recently just purchased a large jar from a Korean market and while it is overflowing and bubbling, the different ingredients still do not seem to have a uniform taste and the cabbage is a bit hard still. I believe the market i purchased it from sells a lot of kimchi so i am guessing that it just needs some time to ferment and i just left it in the fridge and will be tasting it daily until it gets a bit more uniform and the cabbage has time to do ripen and sour a bit more. Thank you again as i have found this webpage very helpful and appreciate it very much. HI Vinnie, Thank you so much! So glad you found my Kimchi chart helpful. You are doing the right thing by keeping it in the fridge. If you find that it is taking too long, you can always take it out and leave at room temp for few hours and see how the flavor changes. The texture however should remain still crunchy. If it taste very soft and mushy then it’s actually not in the best state. Still edible just not in its prime state. Good luck! 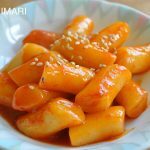 I have seen that one of the ingredients to make Kimchee is Korean sweet rice flour… I live in the Philippines, and have trouble locating the flour, even on the internet… Does your store carry the sweet rice flour, or can you refer me to a place that has this sweet rice flour? I appreciate it, and thank you in advance.. 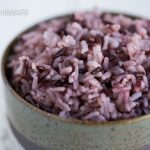 So if you can’t get it you can also just use regular sweet rice. Just make a thick congee paste out of it – can use blender to grind it before cooking. Sometimes you can even just mix cooked sweet rice. It will dissolve over time. You can also use regular rice flour too. I don’t yet have it on my store but will add it soon. Thank you! So I’m trying to get a functional equivalent to kimchi refrigerators using a U-line with digital thermostat. Would you just recommend keeping it at the lowest possible temperature? They go down to 35 F.
Hi David, thank you for asking. So some actually like to convert a deep freezer to keep the temperature around freezing – 32 F or so. 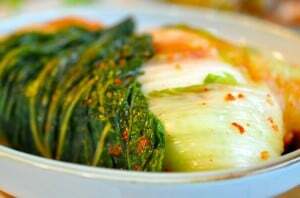 Which is the best temperature to store kimchi for a longer period of time. But if you want to use a refrigerator, keep it at the lowest temperature of 35 F would work too. It’s just that your kimchi will ferment/ripen quicker than at 32 F. Hope that helps, let me know if you have more questions. thanks! Thank you for responding! Freezers! Brilliant idea. So… I looked into U-line’s freezers, they have a freezer temp range of -5 to 5 F, which would freeze the kimchi completely. The cheaper model is convertible to a refrigerator with a range of 34-45, the same range as their digital thermostat refrigerators. On another note, my mom told me years ago that kimchi placed straight in the fridge without leaving out to ferment gets bitter, so for years we’ve left kimchi out 2-3 days until it gets 익었어. Recently my wife’s 고모 has been staying with us and told us you MUST ferment kimchi in the refrigerator… after leaving it out overnight. Which is exactly what you recommend! So my wife and I have been eating sub-par kimchi for years! Where were you with this advice 15 years ago when we got married?!? Haha Thanks for a great blog post! Yes, I think your idea of keeping kimchi at 34℉ should work fine. I agree it’s a huge improvement from storing it at regular fridge temp of 40 or higher. 2-3 days is probably a bit too long, especially when you are using store bought kimchi since most probably the kimchi is somewhat already ripened. If you are talking about freshly home made kimchi, yes, it should definitely sit out at room temp at least for 8-12 hrs until it is slightly ripened. You are so very welcome and thank you again for checking out my post and leaving me such great comments. Cheers! I did look at Summit freezers also, the highest temp is +11 F, which is still -11.7 °C, I think well below freezing. I will stick with 1.1 °C with the U-line refrigerators… assuming they can actually hold that temperature! Hello JinJoo, I just picked up an onggi from an antique store and have been trying to learn how they were used to ferment and store kimchi. Your cutaway picture of the onggi is very interesting and I’d like for you to explain what all is going on in that picture. I see the kimchi in the bottom of the onggi, a layer of green on top of it and a rock on top of the green layer. Then it looks like some kind of basketry underneath the lid of the onggi. I can’t imagine burying my onggi because I’m sure that worms a bugs would get into it unless there’s some kind of barrier to prevent bugs and worms from getting in. I imagine that’s what that basketry thing is under the lid. I was wondering if Koreans also placed a piece of cloth over the top of the onggi in place of the woven basketry, used some string to wrap around and tie down the cloth, then placed the lid over that. I’ve looked and looked on the internet and no one seems to want to discuss exactly how the onggi was set up to be buried. They only mention that the onggi was buried. Details like this get lost and forgotten unless people are recording it. Hi Tim, Great question. I agree, someone needs to have the details recorded. I try to do that with many things (e.g. 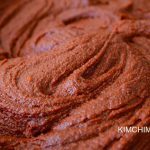 gochujang) but this post was mainly about fermentation process itself so I did not include it in initially and planned to add another post but never got around to it. I totally see your point and let me write a quick post to share that info very soon. 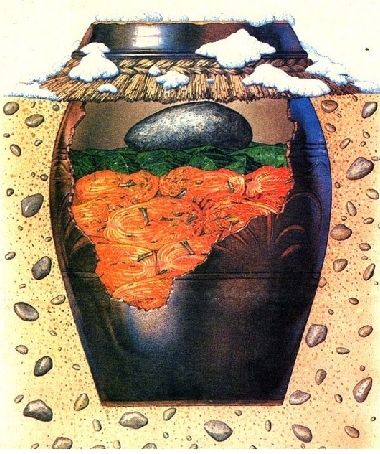 In the mean time, I can briefly answer your question here – onggi is buried with the top 8-10 in exposed above the ground (to discourage bugs and dirt). The basketry like substance is rice straw to keep the warm heat from the ground escaping too much and keeping the onggi from hard freezing. The straw also prevents dirt from getting into the onggi. As a child, I do remember my mom using a piece of thick plastic and string to cover the top but I bet they probably used cloth to cover in the days before plastic. Remember this was done in Korea where it stayed mostly below freezing in the winter which means few bugs are out and about. I thank you for asking this question and I hope you will check back soon (or follow my blog) so that you can read in more detail. Happy Holidays! 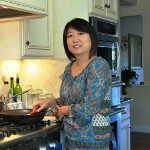 Hi JinJoo, Thanks for the amazing sharing on Kimchi! I have been trying to make kimchi but it is not as crunchy. Was it because of over soaking in water? How can I make it more crunchy? Hi Ling, there can be many reasons for cabbage not being crunchy. Cabbage itself could be a problem which you just cannot help. But most often, it happens because of not-so-good salt (try to use good quality Korean Sea Salt (cheonilyeom) for kimchi), brine long enough time, drain well. If you soaked in plain water too long (during rinsing phase), it could lose the salt content too much and then can result not so crunchy. So use enough good salt, try to find good fresh cabbage and then rinse in water for short time and then drain well (for good 30 min or more). Good luck! 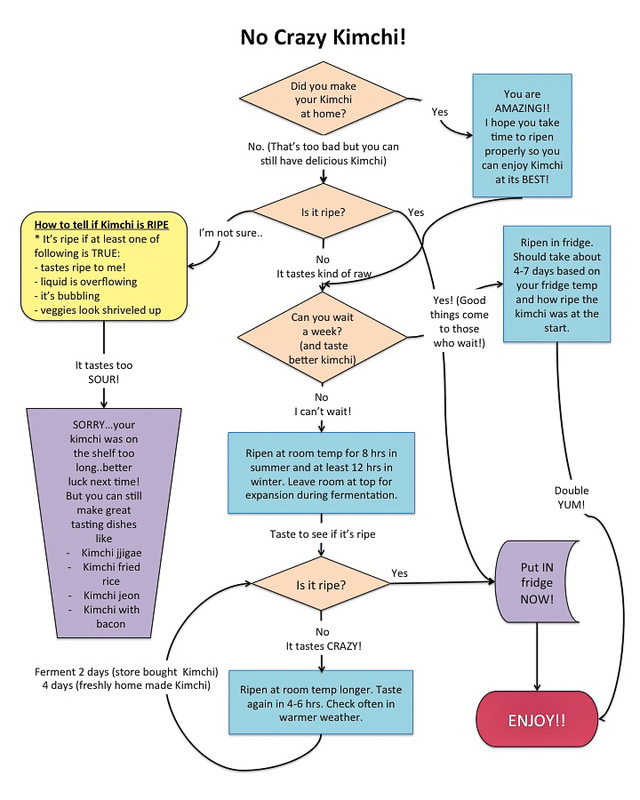 Hello, and thank you for the flow chart! I’ve just made my second batch of kimchi, and it’s not behaving in the same way as the first, which was perfect. I’ve had it out at room temperature for almost 48 hours, and it hasn’t produced any liquid! The first batch covered itself in less than 24 hours. Thinking back, I’m wondering if I forgot to add the sugar, and so the fermentation hasn’t been started. Other than that, I can’t think of what went wrong. Hi Emily, hmm..adding sugar is not a must for starting the fermentation. It just helps it. Not having enough liquid is more a result of the brining than fermentation. If there isn’t enough salt, that could cause it to leech out less liquid. Cabbages can also be different. Some cabbages have more water than others. I hope it’s not too late but if you feel it’s still too dry, you may just want to add some radishes tossed in salt a little bit? Or you could add a little bit of dashima broth with salt and sugar added but if it has started to ferment, that could be a little too late. Let me know how it goes! Good luck! I know it’s an old post but I need to know! Can I take out the kimchi and put it in room temperature again after having it in the fridge? Yes you can! Just check every 3 hrs or so and see if it smells and tastes like how you want it. Will ripen quickly this time so be careful! Thanks for asking! OMG! Korean cooking + computer scientist, LOL, perfect, we speak the same language. Love the chart. I have a couple of buckets of ripe kimchi right now in the fridge waiting to be devoured tomorrow with a couple of bottles of Makgeolli. The Kimchi is home made, the makgeolli bought. Oh YAY!!! Fabulous! So glad you found me and understand me. 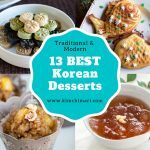 😉 Thank you for liking my chart and wow, Kimchi and Makgeolli pair so wonderfully together- hope you enjoyed it. Thank you SO much for your comment and I am really looking forward to seeing you around here too!! Hi, I hope you’re still reading this. I recently made napa cabbage Kimchi twice, following a vegan recipe. We left it to ripen in a kimchi jar and a canning jar (latch not pulled all the way down so that CO2 can get out) for various lengths of time at about 18-22°C. The cabbage was covered in sauce and had two leaves on top. It started bubbling and the juices overflowed, after that we put it in the fridge. Both batches (after 24, 29 and 50h and 72h of ripening at room temperature respectively, I misread the recipe at first that’s how the longer times came about) turned out somewhat fizzy/carbonated, even though the taste is good. According to blog posts and forums, the fizziness might stem from the kimchi being too ripe – but after 24h already? Other said it’s just how fermented food should be like. I am confused. I’ll try more salt and less sugar/starch next time, but maybe it’s actually normal? The texture is not mushy, and the taste and smell quite close to what we had in Korea – the only funky tasting Kimchi we once got there smelled like rotting organic waste and had a cheesy aftertaste (scary…). The fizziness didn’t go away after storing it it the fridge for a week, though it abated a little. All four jars have about the same degree of fizziness, despite the difference in fermentation time. Is it supposed to be that way? If not, how can we prevent this? Hi! OF COURSE I am still reading it! I think it depends on how you define “fizzy”. If you are talking about a the sort of clearing taste where Kimchi has a hint of fizziness, that is how the best Kimjang kimchi tastes. But it is actually not easy to acquire that and it usually happens AFTER Kimchi has been fermenting slowly underground or in a Kimchi fridge for days. If you are talking about “FIZZY” like almost it is like carbonated soda then that’s not normal and I would say it is actually hard to make traditional Korean kimchi recipe taste like that. I’m not sure what your vegan recipe is like so it’s hard to say but after just 24 hrs at 18-22C should not be fizzy at all. And even after 72h, it can start to taste pretty sour but not really FIZZY like soda. BUT, the most important test of all is how you think it tastes and how you remember it. I mean, if it tastes good to you, no problem right? Yes, perhaps it needed more salt and less sugar as you say since salt prevents bad bacteria and spoiling and sugar promotes bacteria fermentation. To prevent it, I don’t know.. try my recipe?? HAHA… but seriously, there are so many odd Kimchi recipes out there I really don’t know what to say. I’m actually working on a vegan Kimchi recipe so hopefully you will see that soon. But you can always just try my Mak Kimchi recipe without the fish sauce and just add more salt to taste. Hope this helps and good luck! This is such a great post, JinJoo!! As I don’t want to ruin this one as well, I was thinking if I could let it ferment directly in the fridge, skipping that half of day of sitting at room temp (this way maybe prolonging it’s shelf life?) because these days is super hot, outside as well as inside. What do you think? Could the kimchi (slowly) ripen directly in the fridge?! Thank you!! So it could ripen very slowly in the fridge. I am afraid though that it may take weeks for you depending how salty it is. Try letting it ferment in fridge and if you get tired of waiting, you could take it out then and let it sit for even 2 hrs and then put it back in. Or if it’s really hot, yes, just leave it out maybe 3-4 hrs right after making it and then put in fridge? I’m wondering also if you are making your kimchi with too little salt? The less salty it is, quicker it will ripen and will spoil quickly. Remember that Kimchi should taste a little too salty and spicy when you taste right after making it. The spiciness and saltiness will go down as it ripens. Hope this helps. Good luck! Thank you for the reply, JinJoo!! I left it at room temp for about 5 hours, I think it should be enough. You might be right about the salt…the only salt I’ve got in this recipe is for the brine,150 g for about 1 litre of water (I had about 900g Nappa cabbage) and that’s it (plus the 20g of dark soy sauce in the seasoning paste). I leave the cabbage for about an hour in the brine and I don’t rinse it afterwards, just drain it well. One other thing, I use considerable less amount of gochugaru (about 1 TBS) as my stomach cannot tolerate too spicy foods (even though I enjoy it). Should I sprinkle some more salt in the jar and toss the kimchi around to mix it in? What do you think? As for the time it would take to ripen in the fridge, I don’t mind waiting even for more than a month, as long as the flavour develops nicely. For the next batch I’ll try out your mak kimchi recipe (nice trick there, soaking the cabbage halves and then cutting them in smaller pieces!) skipping the fermented shrimps, there’s no way I can find them where I live. Hi Sorry for the late response! Family stuff last couple days..So it looks like your brine solution is OK but not sure about leaving the cabbage for only 1 hour. That’s just not enough time for the cabbage to get fully pickled. If you don’t want to spend 3 hrs in brining, you should increase the amount of salt in your brine. But basically, the cabbage needs to be quite limp and bendable (see my brining tip post) otherwise, you will get liquid from the cabbage seeping out onto your kimchi seasoning, diluting the salt level in it and probably that’s why it is souring so quickly. Using less gochugaru should not be a problem. I guess you could try adding more salt to your seasoning paste but not sure how much more you need and not even sure if that will work. 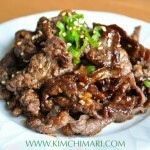 Sure, please try my mak kimchi recipe, you can totally reduce the amount of gochugaru. You can also skip fermented shrimps, just use anchovy sauce (you can order online – even from my shop) or commonly available fish sauce. You just cannot ignore the importance of brining the cabbage properly so please take the time for that. Good luck! Thank you for the reply and all the info, JinJoo! The only reason I’ve been leaving the cabbage in the brine for only one hour is because that’s what the recipe I use says. But now that I know how it should be done, I’m totally not gonna make the same mistake again! The next batch it will definitely be better (I’m going to read all your post on kimchi making until then)! thanks for the information. i just bought some store kimchi and they were too sour, more than what i used to eat in the past. good to know that it had a long shelf life, next time i might just stop by a local korean store that makes their own kimchi. Great that you found my post helpful. If it’s too sour, it’s best time to make some Kimchi Jjigae or Kimchi fried rice with it! Yes, stopping by a local korean store that makes their own kimchi sounds like a good plan. You should ask them before you buy, how many days it has been, how ripe it is. You can also open the jar lid and smell it to see how ripened it is. Also, if there’s a lot of liquid missing from the top then you should not buy it because for one that means it is pretty ripe and also because kimchi is not good without the liquid. Good luck! Hi. I had bought a large container of kimchi from a market. I couldn’t wait to get home and dig in. Imagine my disappointed when I discovered the kimchi was raw and lacking flavor. I found your blog, and as suggested, I left the container on my counter for a couple of days to ripen. There is so much more flavor and the texture is much better. Thank you for the great blog. I’ve bookmarked it. You have so many great articles and recipes. I might have to make my own kimchi soon. I’ll be stopping back by before I do! Fantastic!! So glad to hear that you were able to enjoy Kimchi at its best. Honestly, most Kimchi will taste pretty good when its just properly ripened. I have recently been experimenting with some new simpler Kimchi recipes and I am quite happy with the result. My next post will be that recipe so stay tuned!! Thanks so much for leaving me a comment – always so encouraging to hear that my blog was helpful. Take care! I forgot to let it ferment outside room temperature before putting it in the fridge. I made it yesterday at around 5pm and its noe 12pm the next day. Is it bad if I didn’t let it ferment first and can I fix it? I like to ferment my Kimchi for about 7 days at room temp 68-72F, then put n the fridge. I have found that I seem to lose my brine when it goes in the fridge. Any suggestions? HI!! Apologies for the late reply. I am traveling in Korea right now so I have very spotty connections. So I’m not sure if I’m understanding you correctly but I think you are saying that you lose your kimchi liquid when you put it in the fridge? First of all, 7 days at room temperature seems a bit long for me – doesn’t the kimchi taste too sour? Usually 1 -2 days at room temp. should be enough to ripe and then go in the fridge. Kimchi expands when it ripens so you should make sure there is enough extra room in the container so the liquid doesn’t overflow out. Please let me know if this answers your question or not. Thanks for visiting!! Thanks. I don’t find it too sour at all. But I probably could leave more head space so I don’t lose the liquid as it expands. Yes, I think leaving more room on top should work! Good luck!! Great blog ! Im Malaysian and I loves korean food much . I even made my Kimchi 9 hours ago but it taste bitter . And i want to know what makes the Kimchi taste bitter ? Thank you! What kind of salt did you use? It should be sea salt with bittern removed. Wrong salt can make kimchi taste bitter. I just discovered your website a couple of weeks ago. Love it! When I visited the local farmers market last weekend, I picked up all the supplies I needed to make a small batch of kimchi — my first attempt! Last night I put it all together. It is sitting on my kitchen counter to ripen at room temperature for a day, and tonight I will put it in my fridge for another 4 to 7 days. It’s going to be difficult to wait that long! Thanks for all your advice. That flow-chart is great! Hi Katie!! Fantastic!! So good to hear that you love my blog and also that you made Kimchi at home!! Good for you! I put my Kimchi into the refrigerator yesterday after three days because the last time 4 days were too much and it tasted too sour for me. So today I eat it for lunch but I noticed it to be a bit bitter. So my question is if I can put it outside the refrigerator again to let it ripe for another 24 hours? Or is it bad for the Kimchi to go from very cold to very hot? No it is totally OK for you to take out the kimchi from your cold fridge to ripen some more in warm room temp. Since it is already somewhat ripe, you should check your kimchi maybe every 6-8 hrs to see if it is to your liking. And don’t forget about the liquid expanding so be careful about the overflow! Thank you for asking. Good luck! Thank you for your quick response! I just discovered your blog and love it! I am writing this 4 years late BUT while eating DELICIOUS properly rippen kimchi. WOW. Thank you SO much. We always wondered why our store bought but locally (family) made kimchi was sometimes awesome, but more and more often… weird. Well now we know that for one, we were probably right to suspect that it was “suffering” from being more and more popular and having a faster turnaround, but we also know how easy it is to make it great again, which we had no idea about! And to think we almost gave up on it. 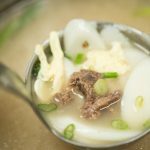 We will eventually learn to make our own, and I’ll make sure I’ll check your posts about Kimjang Day, but it’s great to know that we don’t have to go without unless we try making some! Hi Andrea, THANK YOU for letting me know that my post was of some help. 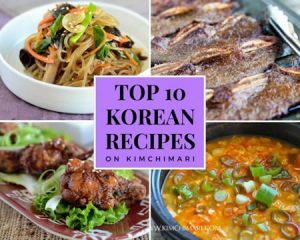 Believe it or not, many Korean moms make the same mistake..haha..Sure, if you get to make your own – you can start with something simple like Green Cabbage Kimchi which is quite easy to do. Cheers! 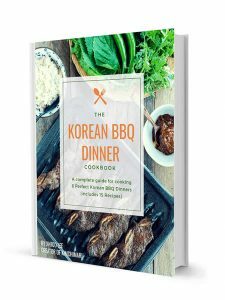 I happened to came across your blog and find it very helpful as I am also making my own kimchi. I have made my very first batch 6 days ago based on a very simple recipe that I found on the internet. I will be grateful if you could help me with an answer to my question which is bothering me. I store my kimchi in glass jars with plastic lids. I have bought a few new jars with metal lids. Is it fine if the lids are made of metal? Do I have to look for jars that come with plastic covers of something? I heard that metal and plastics are not to be used for fermenting kimchi, but i always notice the kimchi from the Korean dramas are all stored in “lock” plastic boxes. I am rather confused over this matter. Please help. Thank you. Hello – I am so glad you found my blog! Traditionally breathable ceramic jars were used for Kimchi and then everyone used stainless steel containers in the 60~70’s. Recently, yes, you are right, almost everyone uses the plastic “lock” boxes that come with Kimchi refrigerators – not because it’s necessarily the best but mostly because it comes free with the fridge. And it fits well in it. 🙂 Personally, I think glass jars are best (next to ceramic jars) but metal tops can become rusty so try covering the jar with saran wrap and that should work. Let me know if you have any other questions – good luck! I have been making kimchi for about 6 months now and my husband and I eat it up fast. I usually make a gallon at a time and leave it to ferment for a few weeks on my counter. I use 3 heads napa cabbage chopped up, 2 lbs radishes (you can’t get daikon where I live, small town), garlic, ginger, and crushed red peppers. We are vegan, so I skip the fish sauce. I pound it down and put my weights on top and the brine level rises 1-2″ above my veggies fast. Then the bubbles come up for a week or two. I start tasting it after about 8 days and it’s usually delicious. The flock it’s and flavors all meld together and boy does it stink up the house! The flavor is electric. At first it’s a bit sour, then very spicy and tangy. We go through the gallon in less time than it takes to ferment. It’s cheaper and easy to make yourself. Oh yeah, I forgot to mention, after I chop the cabbage and radishes (and sometimes carrots), I add a salt water brine and let it sit for several hours or even overnight, then drain, pound, add garlic, ginger, and peppers, then pack into my jar. Wow! Amazing~ I have been meaning to try making Kimchi vegan style. Will def. keep your method in mind when I make it next time. Thanks for your comment! I commented on this long time ago but somehow it disappeared on me.. 🙁 Thanks so much for the info and I have always wanted to make a vegan Kimchi someday- I will def. keep this in mind next time I try. It looks like you have it down – Enjoy your Kimchi!! Hi! Thanks so much! I have been meaning to fix it – it happened after I changed my blog theme to another template. I think it looks OK now. Let me know if you see anything else! I just learned so much reading through this article and the comments. I had always heard that kimchi traditionally fermented for entire winters, so I mixed all of mine in a big crock (first time ever trying this), put a ceramic plate in the liquid to hold all the cabbage below, covered it with a towel, and then set the crock in an unused bathtub in the back of the house. It has been there for about 3 weeks in a 72 degree room. Reading this, I am realizing that is WAY to long for this temperature. I am almost a little nervous to try it now! Could it still be good, or should I just toss it and start from scratch? Oh it can still be good..as long as its not tasting really foul with white slimy stuff on it. But prob you can only eat it by making jjigae or bokkeum bap with it. Rinse kimchi in water quickly if its too sour..good luck! Thank you so much for replying right away. I read this when I woke up this morning, and decided not to throw it out. After a lot of rinsing, I finally got up the nerve to taste it. It was so good! It was still even a little crunchy after all that time, and the flavor was great! I was expecting the worst, but it came out just fine. Thank you for the advice! I must have lucked out. I will follow your directions on my next try. Oh I am so glad!!! We can’t let those precious Kimchi go to waste! Make jeon, jjigae, fried rice, or just stir fry cut kimchi with some gochujang (optional), sugar, sesame oil, sesame seeds and eat it with Tofu and you have Tofu kimchi! Always try adding a bit of sugar whenever it tastes too sour for your taste. Bon Apetit! My blog is actually through wordpress.com so they do the hosting.. so I am afraid I don’t have any separate web hosting provider to share. Hope you find a good one! Hello! I’m so glad I found this post, even if it is a bit old. I just made my first batch of kimchi and it’s delicious – i’m so relieved! My husband is a sushi chef and was formally trained in french cooking. He was slightly aghast to hear of shrimps being added to fermenting cabbage. I used a vietnamese shrimp paste, but hopefully it’ll taste the same. I was wondering – I left my kimchi in a sealed container for three days at room temp and then put it in the fridge. It’s been about a week or two since then and I’m finding my cabbage is still a bit crunchy. It tastes fine, but the cabbage isn’t as wilted as I’d like. Should I take it back out? Also, because the shrimp paste smelled so bad, I was afraid to add the entire amount called for in the original recipe, so I halved it. Would that slow down the fermentation process, not having enough shrimp? I also had added anchovy fish sauce. Hi! Sorry for the late response. If your cabbage is still a bit crunchy after 2 weeks, it’s most likely because either the cabbage was not sufficiently pickled in salt water to begin with or your overall Kimchi seasoning is not salty enough. I don’t think leaving kimchi out of fridge will help with the crunchiness. The crunchiness of the cabbage really does not change much whether the kimchi is fermented or not. 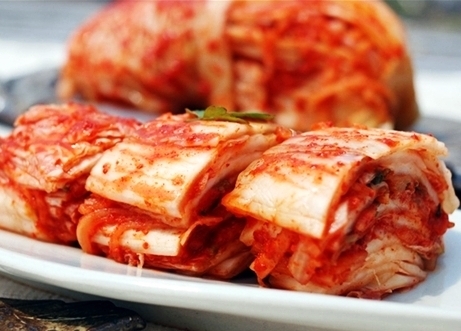 The taste is the most important indicator whether the kimchi is fermented. Having low salt content will speed up the fermentation though. The shrimp paste amount will not affect the fermentation as much, it will affect the taste. Please let me know what the taste is like. Thanks!